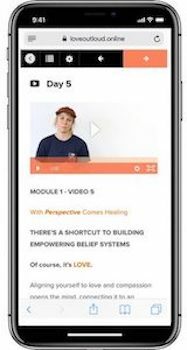 The Love Out Loud online program is a unique program designed to help you shift your mindset and learn to Love Louder with just 15 minutes a day. The course includes daily videos and challenges that take place over 9 weeks. For the last decade every inch of my energy has been put into empowering individuals, communities, and organisations. The thing that drives me everyday when I get out of bed is my passion to unite humanity, to show people their full potential, and to spread the healing message of love. Mental health is said to be the worlds leading health epidemic since 2020, and suicide is the leading killer in Australia. It’s more obvious than ever that our current approach to mental health is too rigid, and denies people space to account for their own quirks and uniqueness. 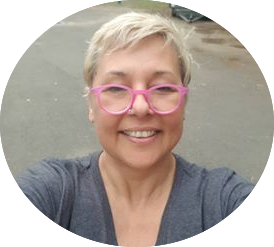 Too often people are trying to impose mental health as one set criteria that everyone needs to meet. Trying to meet this criterion is what causes so much turmoil in people. Through all my work I’ve found that there is no one right way to live your life, but over the 7 years and 250,000 people I’ve worked with, I’ve found similarities in our struggles and challenges. I’ve created Love Out Loud as a way to help you forge your own path to love and healing by providing you with the tools and knowledge that will empower you to build your own one-of-a-kind life. The course is designed to be just 15 minutes a day, over 9 weeks. Each module is unlocked after 7 days, and the modules have 5 days worth of content, followed by a bonus interview on the 6th day. The 7th Day is a rest, and then it’s time for another Module. It is self-paced, so you can go as slow as you like. Once you’ve purchased the course you will have life-time access to it. 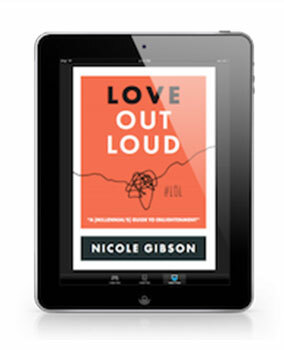 You’ll receive a copy of Love Out Loud – A Millennial’s Guide to Enlightenment in digital format. The book follows the same outline as the course, with each chapter coinciding with the online module. Just 15 minutes a day, 5 x per week over 9 weeks. The program is divided up into 9 modules, with each module dedicated to exploring the following concepts. your life that are so often overlooked. 3. How does love rise up in you emotionally? 4. How do you think when you’re in love? 5. What do you feel in your body when you’re in love? 6. What is your capacity to love? 7. What is the value you bring to the world? 2. What do you truly desire? 3. What is stopping you from being in and speaking your truth? 4. What do you want, need, and feel? 5. Where are you blaming others, or life, for your misfortunes? 6. What areas of life are you needing to take responsibility? 1. What is your current identity, and does it fulfil you? 2. What is your current relationship with failure? 3. How do you currently define success? 4. Where are you looking for approval or validation? 5. Where have you drawn conclusions that haven’t served you? 6. Where are your judgments ruling you and blocking you from truth/love? 1. What are you attached to? 2. What do you need to let go of? 3. How would you live your life differently if you knew you were going to die tomorrow? 4. What have the gifts in your pain been? 5. What triggers you and what does this show you? 1. What are some of the things you’re wanting to create in your life at the moment? 2. What questions are you asking in life? 3. What are the judgments and conditions around what you’re wanting to create for yourself? 5. Where can you shift destructive behaviour into constructive behaviour? 6. How do you generally frame things in life? 1. What are you not acknowledging in your life or your past? 2. What do you avoid or deflect? 3. How easy is it for you to receive love and acknowledgement? 4. Where is fear trumping your expression of courage? 5. Where have you avoided taking responsibility for yourself? 6. What are your rituals? 7. Where is the distinction between what’s sacred and mundane in your life? 1. What are the patterns you’re repeating over and over again? 2. What is still unresolved in your past? 3. What is your gratitude practice? 4. What have been the gifts, and lessons, in some of your hardest times? 5. What are the areas of your life you are always criticizing, and how can you bring more appreciation to them? 1. What is your quest? 2. How do you wish to serve humanity? 3. What legacy do you want to leave in this world? 4. How committed are you to Loving Out Loud? 5. How do you want to express your love, moving forward? We all know what its like to leave a yoga class and feel completely enlightened, but how easy is it for everything to turn when you come home and your roommate hasn’t done the dishes or you open your emails and the anxiety hits? The program will teach you how to use mindfulness when it really counts. It takes the hype away from meditation and spiritual practices that are often vague and shrouded in mystery and teaches you how to really harness these tools for everyday use rather than just isolated blocks of time. Science suggests that after 20 minutes we lose our ability to concentrate on new information, and in the modern day context, where we are constantly bombarded, millennial’s are said to have a 5-6 minute attention span. 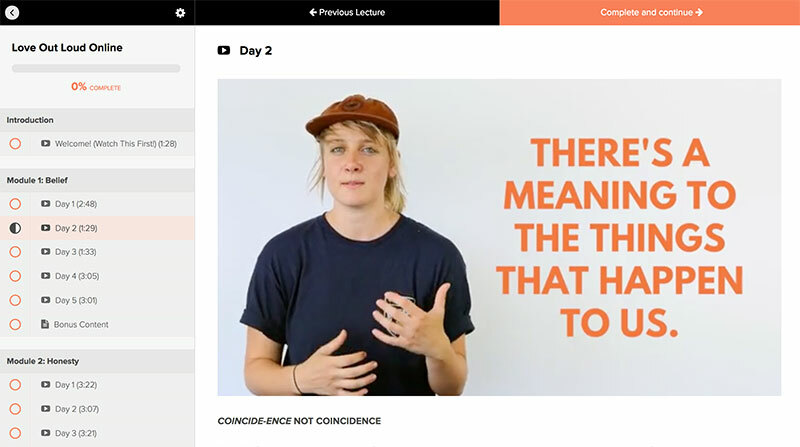 For this reason, the course has been broken down into just 5-10 minute videos, with 24-hour challenges set each day to reinforce the day’s lesson, along with some time set aside for reflection and journaling. The course suits any entry level no matter what stage you are at in your life. It is there to expand your awareness at your rate and allows you to go as deep you are ready to take it.